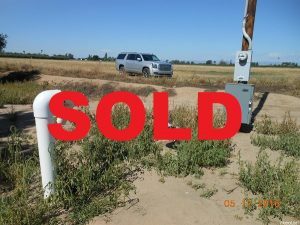 Farm Ground….Almost 20 Acres of District & well-Pump Irrigation Water! This property would be perfect for a Home-Building Site, a Tree Planting Orchard, Or a Small Farm. Surrounded by Almonds Orchards, it has Good Soils, Good location, and Great views! The Irrigation Well is Shared with Neighbor. Irrigation District is MID & its pipeline. Minutes from Town and Minutes from the Highway. Its been farmed for ROW crops over the last couple years. A must See! !